The Xtreme Couture GI Foundation, a 501 (c) 3 non-profit corporation, was founded by Randy Couture in 2009 to honor the veterans of America's armed forces. The foundation was especially formed to raise money and awareness for those wounded in action and their families. Many of the injuries are traumatic amputations, gunshot wounds, burns and blast injuries that will retire these brave men and woman from the armed forces. Even though some of these men and woman are severely injured, they have the courage, strength and determination to win this battle..
" I wore Army green for 6 years and I know the sacrifice and courage these brave men and women take everyday to uphold our nations military doctrine and protect the American way of Life"
Randy Couture, Founder of "Xtreme Couture GI Foundation"
This is simple , we are a small Non-Profit which means 100% of all proceeds we raise goes directly into the hands of our wounded in action that need an extra boost in their time of need above what the government provides. 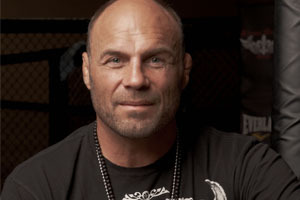 Each year Randy Couture visits the military hospitals and personally donates checks. We are small non-profit without the blurred lines of where your money is going after you make a donation. It's simple we are not a paid staff so after event and marketing expenses 100% of your money is helping a family or soldier directly.